As we approach the fall season, we want to make sure everyone is aware of the changes to the leaf pickup program. All residents will now have two methods for leaf disposal: typical yard waste collection as in years past, and a new curbside pickup service for unbagged leaves. There is no need to sign-up; simply pile your leaves behind the curb (not in the street) and we’ll be around to pick them up. The Street Department will have a floating rotation throughout the fall, trying to hit each residence at least twice (time and weather permitting). 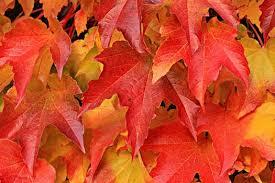 Due to the mechanical nature of the equipment, any items other than leaves can cause significant damage. Therefore, if the crew notices anything other than leaves in piles, it will not be picked up. If for some reason, the Street Department is unable to pick up your pile of leaves, they’ll be marked. See the attached flyer here (which was also in the past water bill) for more information.